Zika virus disease has reached India, with the World Health Organisation (WHO) confirming first three cases in Gujarat's Ahmedabad. The WHO endorsed the findings of laboratory tests conducted in the country, saying all three cases, including that of a pregnant woman, were reported from Bapunagar area of the city. The disease is spread by daytime-active Aedes mosquitoes and an infection during pregnancy can cause birth defects in newborns known as micrcephaly--a condition in which babies' head is abnormally small. It is characterised by brain damage and may cause other defects like blindness, deafness, and even seizures. The WHO said that on May 15 India's health ministry reported three confirmed cases from the western state of Gujarat. Cases were detected during testing in February and November last year, while one was detected in January this year, according to the statement, which was released on Friday but did not gain public attention until Saturday. Ministry of Health and Family Welfare is considering a robust campaign against the deadly virus which is similar to dengue as Aedes aegypti is the main vector species of the Zika virus as well. 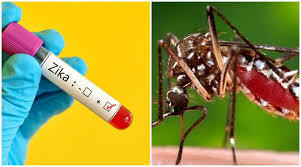 Under the Integrated Disease Surveillance Program of Directorate General of Health Services (DGHS), the Union Health Ministry has formulated national guidelines for Zika virus disease. “As the cases have now emerged in India also, we have forwarded travel advisory and guidelines for integrated vector management for control of Ades mosquito to all the states to follow strictly,” said a senior official from the Ministry. “Under the guidelines, we will soon launch a campaign similar to dengue because the vector is same in both the diseases. Government campaigns have helped increase awareness about dengue, now people should know about Zika also,” the official said.